A very special week of the year kicks off tomorrow, yes it’s Royal Ascot week. Five days of top quality racing with the back drop of champagne, top hats and Royalty. For a jockey it doesn’t get more exciting, and I’m very thankful to be blessed with some live chances throughout the week. 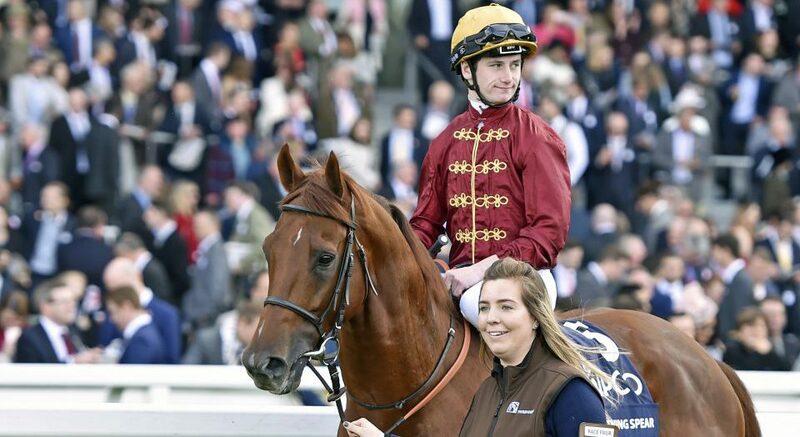 I’ll start with the first race, the Champions Series Queen Anne Stakes where I ride the perennially unlucky Al Shaqab Lockinge Stakes runner up Lightning Spear. There looks to be a lack of pace in the race, but you’d imagine Deauville will likely go forward as a pace setter for Rhododendron who stays the trip well. I am not displeased with our draw as we’re close to Benbatl and some of the more fancied horses, so we should get a nice toe into the race. I’d be very hopeful that Lightning Spear can run another big race. Benbatl is a horse I know well, having had some good runs on him this winter in Dubai. He’s a horse who is coming to age now as a four-year-old, typical of a son of Dubawi, and I think he’ll be one of many who has a decent chance tomorrow in what looks an open affair. Ornate is my ride in a red-hot King’s Stand Stakes. He’s a natural front-runner so I’ll be looking to get him forward at a sensible gallop – although we all know the kind of pace Lady Aurelia can set on her day! Battaash for me is a worthy favourite based on current form, but unlike some, I’m not put off Lady Aurelia even though she hasn’t won since this race last year. Wesley Ward will have her cherry ripe, like he always does at Royal Ascot and the crowds will be hoping the much anticipated duel between these two unfolds up the Ascot straight. This is one of the highlights of the week and it’ll be fascinating to see who comes out on top. To complete the hat-trick of Champions Series races taking place on a mouthwatering Tuesday, I’m on Kings Shield in The St James’s Palace Stakes. He’s a horse that John Gosden has always thought a lot of. He didn’t handle the ground and the track the last day at Epsom, and subsequently ran pretty disappointingly. It’s a competitive race but we have a decent draw and will be hopeful of getting into the frame. Another at a decent price who I think could go well against the market principles would be Gabr. Of course at the top of the market the eye is drawn to Without Parole, the unbeaten son of Frankel. I haven’t seen much of him working at Mr Gosden’s, but he’s a horse who has certainly caught my eye in the ring. He needs to improve from what he’s done in his career to date, but as time goes by I think he’s full of potential. Elsewhere, I’m excited to be on Advertise in the Coventry Stakes. The form of his last win couldn’t have worked out better with the 2nd and 3rd placed horses winning well next time out. His work at home has been very solid. I’m glad I’m on board him, let’s put it that way. Percy Street is another I’m looking forward to in the marathon Ascot Stakes. 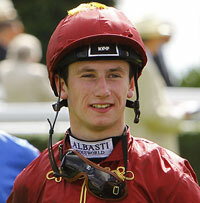 David Pipe has had a Royal Ascot winner before and this horse had good form for his previous trainer Karl Burke. In recent renewals it’s paid well to be with one of the jumps trainer’s runners. Hopefully I’ll be the beneficiary this time. In the last Morando must have a live chance in the Wolferton. The ground is an unknown but if he handles it he’ll be well in the mix. She’s in the right race and should be up to winning this.